Making Dinner a Matter of Great Taste!!! Lately, I have been dedicating my evenings to preparing dinner as if I were carefully orchestrating an epicurean feast. Keeping basic ingredients on hand allows me to plan each meal when drafting menus for the week. This saves time and gives a frame of reference while cooking, it also allows for variation if I change my mind during the day and decide to cook something else. I frequent the Asian market in our area several times a month to purchase the freshest vegetables, and the most unique herbs and fruits. 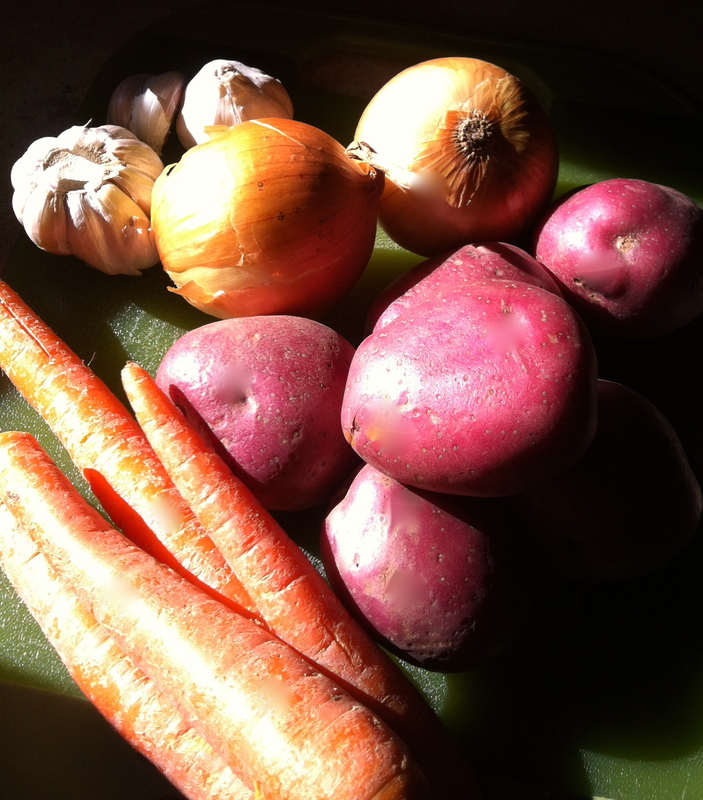 My pantry is filled with fingerling and red potatoes; huge bunches of onions, yams, along with brown and jasmine rice. Basil, sage tarragon and shallots are ingredients kept on hand to be used for chicken stuffing or to enhance pasta sauces. Heads of romaine and butter lettuce are for quick salads, and by adding eggs, olives; a bit of ham or chicken becomes a meal. I make my own dressings; one of the creamy styles I like is mixing a bit of mayonnaise, vinegar and sugar. Next grate a bit of Parmesan cheese, add a bit of chopped garlic, crumbled bacon, salt, pepper and mix. Prepping food before work is a must. By rinsing carrots and celery, then placing them in a zip-lock bag they can be used for soups and stews or chop and serve as crudities, which can be a great snack before dinner. Pre-cooking smoked hams and meats early in the morning also help save time with the evening prep. When I am truly exhausted and want a deliciously hearty meal, I turn to soups. I made a ground beef and vegetable soup playing with leftover’s one Saturday afternoon and this tasty meal has become one of my restorative mainstays of the kitchen. In a three-quart pot, brown and drain fat from beef. In a skillet add a tablespoon or two of canola oil, then sauté onions, celery, leeks and carrots until translucent. Add the veggies to the pot with the beef. Next take two Idaho potatoes peel and chop, then add to the skillet. You will not need additional oil; all you want to do is release the essence of the potatoes by stir-frying for a few minutes. Add the potatoes to the beef and veggie mixture, with a quart of broth and one bay leaf. 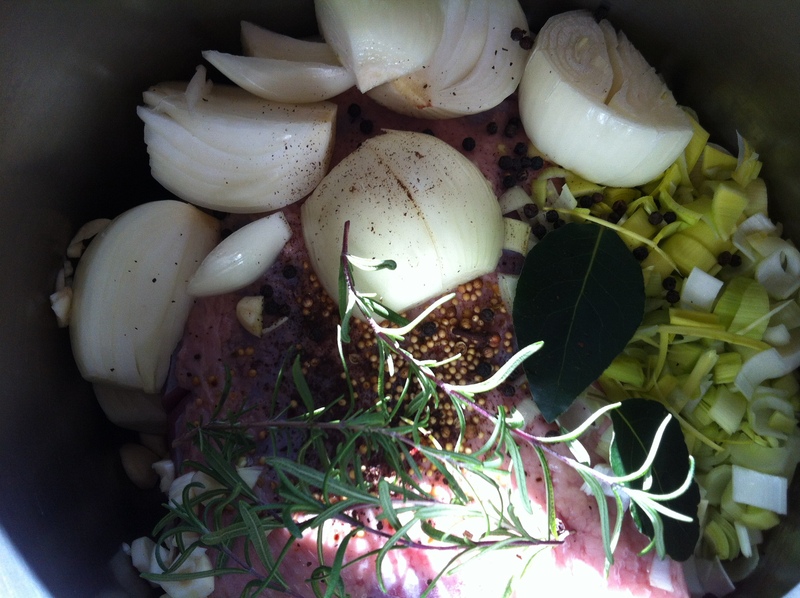 Place in dried thyme and fresh rosemary, along with a bit of kosher salt and pepper. The final flavor is adding a can of crushed tomatoes. Let the soup simmer for about 30- 40 minutes, then serve. For another quick dinner I may sauté cremini and/or white mushrooms in butter, add a bit of crème fraiche and sherry. Serve over crusty bread or toast with a side dish of asparagus or string beans. Try these recipes, by keeping a few basic ingredients in your larder and fridge. Most of us are under tremendous pressure at work and time is a critical element when getting dinner ready each evening. By having these items available, a delicious meal can be created without a lot fuss.